You are here » frostvalley.org » Overnight Camp » Camp Henry Hird » Windsong at the Farm! This afternoon Windsong went to the Farm! After a quick drive to the East Valley the girls enjoyed a tour of the barn, some time with the animals, and a garden visit. 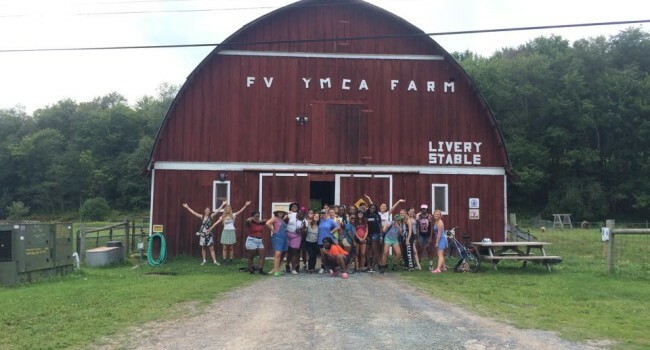 The girls loved exploring Farm Camp and getting to see another area of Frost Valley. They are back now enjoying their formal dinner and will be partaking in Vespers tonight, a reflective evening activity. All in all it was a great day!